Maglificio Selene also has its own factory outlet. 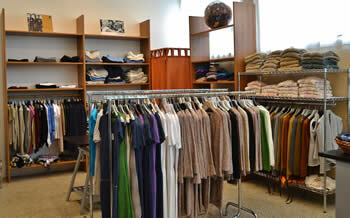 Inside you can find numerous items of clothing of the season at affordable prices. The outlet is home-made, but we can not guarantee a complete range of sizes and models. To stay up to date on new collections, please contact us or come and see us.